Thermal analysis is a well-established analytical method that is widely used in many different fields. It provides laboratories with valuable results and new information in quality assurance and control, process and product development, and research. Many problems can be solved by using a combination of different thermal analysis techniques. STARe is the most complete and comprehensive thermal analysis software on the market and provides unrivalled flexibility and unlimited evaluation possibilities. Thanks to its amazing functionality and Ribbon style toolbar, the STAR Thermal Analysis Software is extremely intuitive and easy to use. Many of its features such as OneClick™, multiple curve handling, and specific options like Quality Control or Reference Library simplify routine work. In routine operation, you can automate everything from the measurement to the evaluation and final result assessment. The STARe Thermal Analysis Software consists of the Base software and a large number of application-specific software options. This concept makes it very flexible. It allows you to satisfy your current needs and meet any future requirements. A complete software package and expert evaluation possibilities are the basis for the correct interpretation of measurement results. 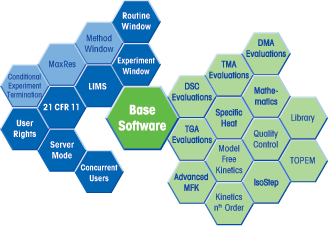 The STARe evaluation software combines application-specific evaluation tools optimized for thermal analysis users with the flexibility of a superior layout program whose functionality sets no limits to individual creativity. The powerful and versatile STARe software offers unique flexibility and unlimited evaluation possibilities. The STARe software is the result of constant development aimed at enhancing performance to satisfy worldwide customer requirements. The Free STARe Evaluation Software enables the evaluation of all kind of Thermal Analysis measurement data. 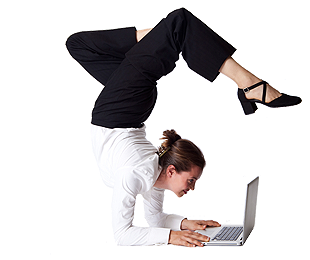 Evaluations performed are exchangeable between the licensed STARe Software and the Free STARe Evaluation Software. A complete software package and expert evaluation possibilities are the basis for the correct interpretation of measurement results. The STARe thermal analysis software combines application-specific evaluation tools optimized for thermal analysis users with the flexibility of a superior layout program whose functionality sets no limits to individual creativity. The integrated relational database helps you easily maintain a clear overview even with very large amounts of data. Data is stored within the secure database by sample name, date and time. The Base software allows other data filter parameters to be assigned, simplifying data searches. The CFR operating mode incorporates additional security features stipulated by the FDA in the 21 CFR Part 11 regulations (electronic signature and audit trail). This means that signed electronic records are stored in the database. The 21 CFR 11 software option allows you to manage user levels and define user rights and user roles. Thanks to its amazing functionality and Ribbon style toolbar, the STAR software is extremely intuitive and easy to use. Many of its features such as OneClick™ , multiple curve handling, and specific options like Quality Control or Reference Library simplify routine work. Our tips and hints booklet helps you achieve reliable and reproducible thermal analysis data.